One of life’s fundamental truths is that whenever we have a goal there will always be obstacles. Viewing an obstacle as something that blocks you is not an empowering thought–it is a power drain. Instead of seeing an obstacle as a block or an enemy to be dreaded, it is a powerful re-frame to view it as an opportunity. Here are seven ways ways you can tap into the power of obstacles to help you create more success. 1) Commitment: being faced with an obstacle can strengthen your ability to commit to what you want in the face of adversity. Mastering this one strength will benefit you for the rest of your life whenever you are faced with challenging circumstances. When we master the art of committing fully to a goal, we become unstoppable. 2) Staying strong and centered in the face of obstacles builds confidence and self-belief. Obstacles test us. They challenge us to believe in our self, in our abilities and in our capacity to grow. Obstacles challenge us to master the art of releasing fear and doubt and move forward in the face of uncertainty. 3) Obstacles force us to stop, re-evaluate and see the bigger picture. When we are temporarily de-railed by an obstacle, sometimes the only way to move forward is differently. We may need to change our strategy, our perspective, or our priorities. 4) Obstacles can teach us about ourselves. When things aren’t going as we’d like, sometimes what needs to change is us. Getting the clarity and humility this kind of insight provides helps create not only career success. It helps build personal and professional relationships based on authenticity and mutual respect. 5) Hitting an obstacle can teach you patience–both with yourself and the situation. It can help remind you that you don’t have to be a perfectly efficient machine– that you can do things in your own time and in your own way. They can help you to see time as your friend instead of as your enemy. 6) An obstacle can teach us that we don’t have to be in control of everything. It can reveal the wisdom of letting go when it’s time for the universe to take over. It can teach us about the power of “going with the flow”. Obstacles can help us to recognize that we don’t exist in a vacuum–there are forces outside of us supporting us in ways we don’t always see. 7) Obstacles can teach us humility. They can force us to acknowledge that we don’t always have all the answers. They can help us to recognize our inter-relatedness– that we are not “islands”. Obstacles can teach us to surrender our tyrannical ego, reach out, and be open to the wisdom of other people. Obstacles exist to make us learn and grow. Once we master the habit of using obstacles to empower us rather than block us, we become unstoppable. I hope you found this post helpful. Have you experienced the power of obstacles to help you create more success? I would love to hear about it! Please leave a comment below. Posted in Inspiration, Life Balance, Productivity. Bookmark the permalink. 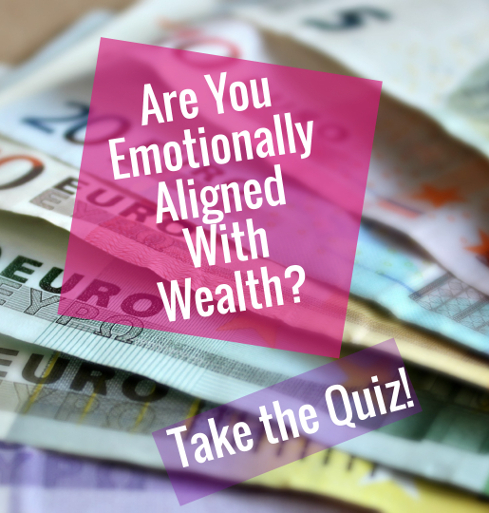 Are You Emotionally Aligned With Wealth? Is Cultural Programming Blocking Your Success?